"Hentenna" was developed by Japanese 6m Hams (JE1DEU / JH1FCZ/ JH1YST members) in 1970s. Finally they got new antenna with good performance, however, it was difficult to explain why the performance is so good, or how it work basically at that time. So they named it Hentenna, because, "Hen" means "strange" in Japanese. Anyway, the antenna has good performance and many advantages, it was becoming very popular in Japan. Many of JA stations make it and enjoy their Ham life at Home or in a field. Some Japanese 6m beacon stations are using Hentenna based antenna actually. I got more than 400 hits using keyword by "hentenna" on Japanese search engine, but, not many Hentenna information is available in English. I am very happy if we could share the good antenna with many people on the web. It is possible to adjust impedance and SWR perfectly, This means, not so sensitive to make. This means, it is easy to put it higher position in the air. You can also use light mast for it. As this vertically long antenna, it is easy to install the antenna on a veranda or small space. Vertical long physically but mainly Horizontal radiation: This is one of the reason this antenna is "Hen". 4. 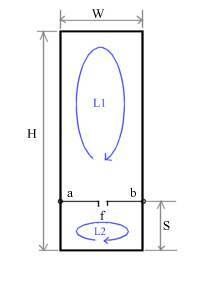 Vertical long rectangle make more gain than ordinal square loop and less impedance. L2 helps the matching and low angle radiation. Make rectangular using parts 1, 2 and appropriate bolts, press connection terminals. Make feeder elements using 3 and 4 and coax cable. 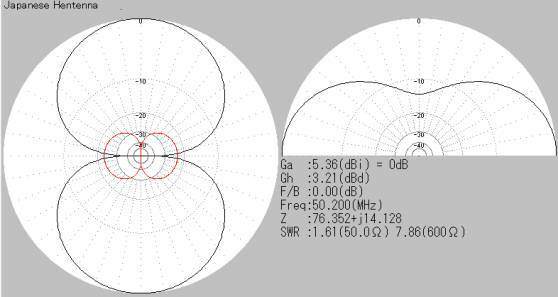 Adjust Frequency and impedance moving point "a" and "b"
Radiation angle : Lower than topical 6 element Yagi. 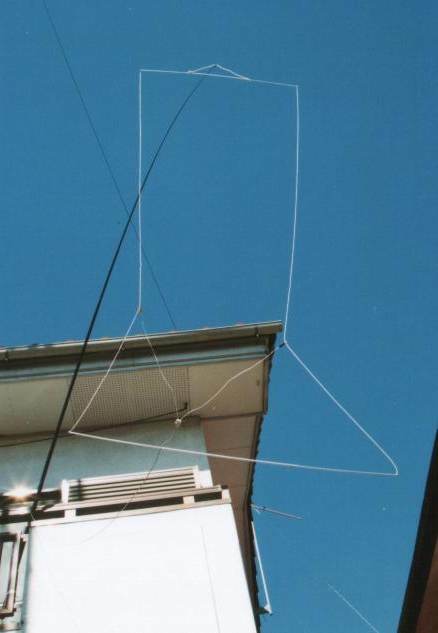 * This antenna performance is similar to 5.2m boom 6 element Yagi. * Check the pictures below for more information. Hentenna has 3 important measures. 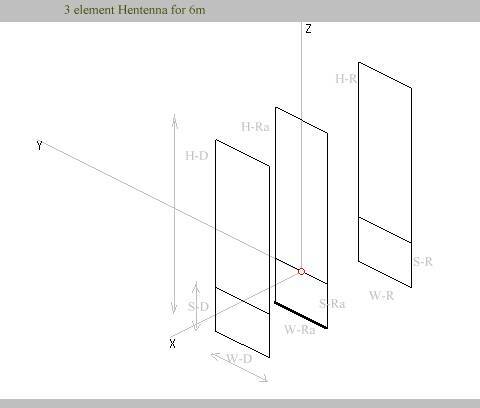 They are H: height, W: width and S: (See right picture for the reference). Following list is these standard measures for each armature bands. For the adjustment, please refer to top page of Hentenna but the only thing you have to do is adjusting "S" measure moving a,b points.